The Season 1 of Apex Legends, entitled Wild Frontier, has arrived with many new features. The event started at 18:00 Tuesday, 19 march, making available for purchase the pass battle, and a new legend on the roster, the much-waited Octane. The pass battle Wild Frontier will last about 3 months and costs 950 coins Apex while the bundle pass 2800. We’re talking about 10 euro for the first and less than thirty for the second, since the purchase of the currency in the game part by a cut in minimum of 1000 coins for the price of 9,99€. 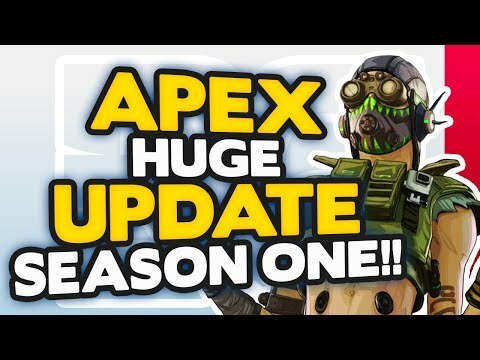 The content of season 1The pass battle of Season 1 of Apex Legends, according to the words of the developer, is entirely focused on the growth of experience points, players who buy the pass will receive three skins theme for Lifeline, the Wraith and the Mirage, and will unlock the 100 rewards that are exclusive to the season by earning experience points from games played. The rewards will not disappear at the end of the Wild Frontier. The purchase of the pass is not obviously binding since the exclusive rewards are only cosmetic, and players who choose not to purchase it can still go forward with the standard level, and receive free in the course of the season 1 skins wild frontier, 5 pack Apex, and 18 counters. Octane, the new legendIn the battle of the pass to the Apex Legends is not included in the new legend, Octavio “Octane” Silva, ambitious, fond of extreme sports in search of adrenaline. The cost of the character is of 750 coins Apex but may also be purchased with 12,000 token legend, as is already the case for Caustic and Mirage. The active skill “Stimulant” increase your speed by 30% for 6 seconds consuming, however, life points while the passive “speedy recovery” includes energy recovery while the Octane is not under attack. The ultimate consists in the placement of a trampoline, which you configure as an interesting strategic element that can prove to be fatal if combined with other skills, like the grappling hook, Pathfinder, or the ultimate Bloodhound, and Gibraltar… when you feel get from the top to an “All father,” give me sight,” you understand what we’re talking about! Balancing and changesThe first season of Apex Legends will also include many patches, improvements and balance tweaks. Many, in fact, have complained about the problem with the hitbox of Caustic, Gibraltar and Pathfinder, characters the most physically bulky of the roster. In a press release dating back to about two weeks ago, the developer does know that he has taken to heart the feedback of the audience, promising to correct and optimize the hitbox of these three characters. This is all that Wild Frontier has in store for the legends of the Apex, those who are curious to try out Octane? Please let us know in the comments and follow us on the channel of Multiplayer.it will get our content with exclusive content.